Growing up I was taught to be humble, and so I’ve often stayed quiet about my and my company’s accolades over the years, minus an awards post here and there. 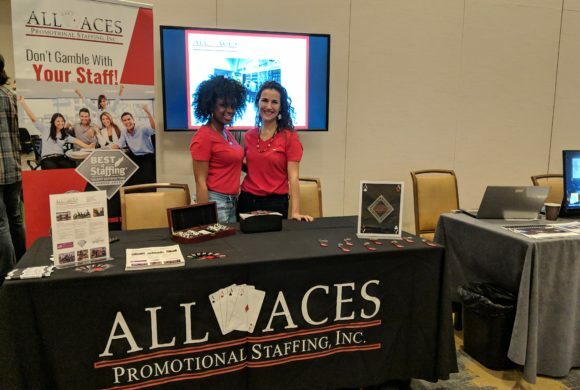 But now that All Aces Promotional Staffing celebrated its 10-year anniversary, I decided it’s time to hold my head high and share our successes and accomplishments (and even our struggles) along the way! Last fall I graduated from the Goldman Sachs 10,000 Small Businesses program. I had heard about it in passing, and when I received an email invitation for the program I decided to take a deeper look. 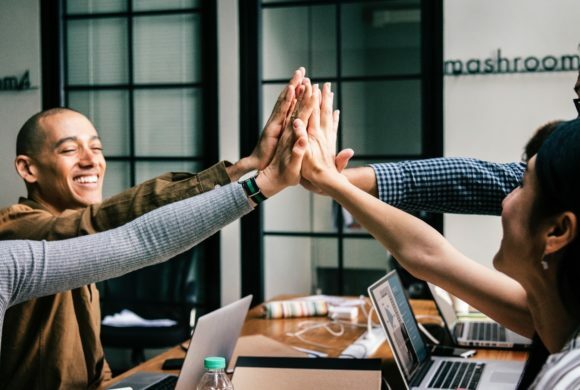 The course is designed to help established businesses reach the next level, and offers a hands-on, interactive approach to evaluating the various areas of business alongside other CEOs. After filling out the very detailed application and sitting through the nerve-wracking interview, I found out I was accepted! I had no idea what that meant though. Before the first day of classes last June I was so nervous! I didn’t know what to expect and certainly didn’t know how to be a student again after graduating over a decade ago. Should I bring an apple for my teacher? Would the other kids like me? Not only that, I had to leave my business in the hands of my employees for a full Friday almost every week! Those in the events and experiential marketing world know that Friday is often the busiest day of the week (with the summer and fall being the busy seasons). It was tough, but I somehow managed to not look at my phone every 5 minutes. I soon found out the advisors were smart and wonderful, and I was surrounded by the most amazing group of people I could have asked for. Not only that, my employees functioned perfectly well without me! It was the first step in making me realize I can more effectively work on my business instead of in my business, a trap that’s so easy to fall into when you’re in the day to day grind. I eventually learned to let go and fully immerse myself into the process. When it was all said and done, that was the main goal of the program, and everything we learned centered on that. 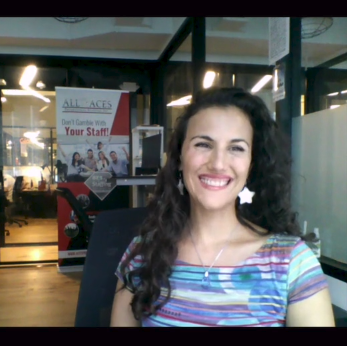 I won’t go into the nitty gritty, but the program went into all the areas of business like marketing, financials, funding, organizational charts, negotiation, etc., and put a glaring spotlight on the areas that needed improvement (that was fun!). All the things you really SHOULD know as a business owner but somehow neglect when things get busy, feeling like the worst business owner ever. It was a painful process at times. The best, most encouraging part was seeing that just about everyone was in the same boat as me, and that we were all able to help each other since we had different strengths. As someone who had little guidance in my business over the years, I finally had a close-knit group of like-minded people I could turn to for advice. I graduated from Cohort XIX on October 18, 2016. Though the classes ended, we still have our weekly calls and monthly meetings to keep each other on track. Over a year later I see a huge, positive change in how we all look at and plan for our businesses. I’m proud of my group and consider them to be among my closest friends and family. And I’m proud of myself, for having the courage to take such a big leap of faith to grow my company. It’s a program I would highly recommend to small businesses looking to expand. Even business owners can get complacent, and sometimes you need to be ripped out of your comfort zone to grow! All Aces Promotional Staffing is now a certified WBE!Event Staffing & Management Firm of the Year!